Come on in and Join us for fantastic service and juicy and succulent cuts of steak that you will never forget! 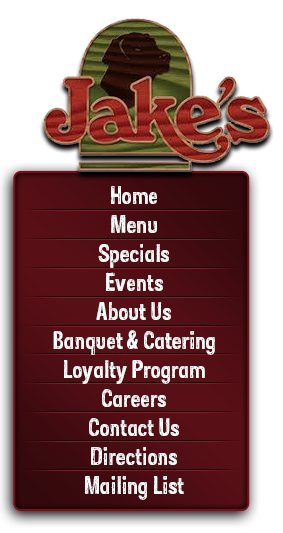 Here at Jake's Steakhouse we take pride in our service and the preparation of our meals. So come on in and visit us for a bite to eat, you won't be disappointed!